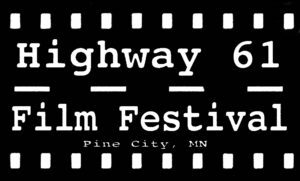 Pine City’s Highway 61 Film Festival is eagerly awaiting submissions from regional filmmakers now through July 1. As the festival heads into its seventh year, organizers are excited to see what amazing films will come from the imaginations of local, state, national and international filmmakers. Submissions may include short (less than 40 minutes) and feature films. Categories include: Drama, Comedy, Action/Horror, Documentary, Animation and “Made in Minnesota,” for films actually shot, in whole or part, in this great state. 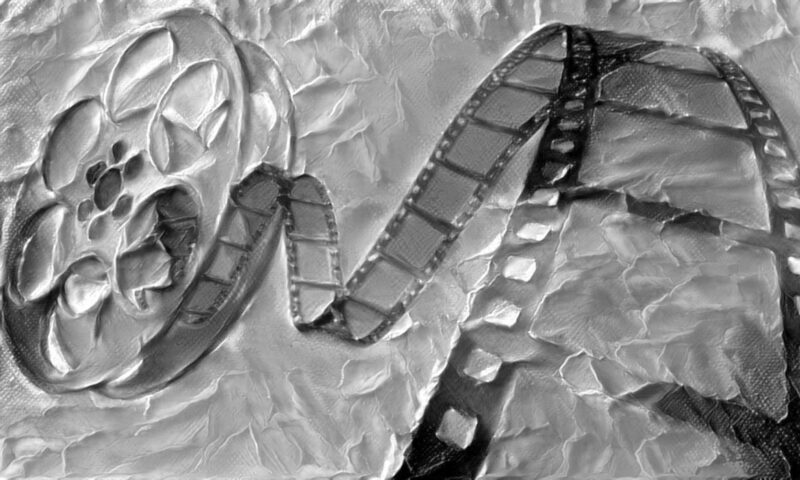 A special spot is reserved for Student Short films made by students age 18 or younger. Submitted films are reviewed by judges, and cash prizes awarded to the top film in each category: $100 for features, $50 for short films, including a $50 prize for the top Student Short film. Early submission fees (by June 15) are $5 for short films and $10 per feature film. Late submission fees (by July 1) are $10 for short films and $20 per feature film submission. All Made in Minnesota films are $1 and Student Short films (age 18 and under) are free to submit. Last year hundreds of films were submitted to the Highway 61 Film Festival through FilmFreeway.com (an online independent film festival submission service), and the very best were featured at the October festival. The festival will be held Oct. 5, 6, 7 and 8 in Pine City, with screenings at Pine Technical & Community College, Pine City’s Pizza Pub, the North West Company Fur Post, and Pine Center for the Arts. Films can be submitted at filmfreeway.com/festival/Highway61FilmFestival. For more information, visit highway61filmfestival.org, the Highway 61 Film Festival page on Facebook, or follow on Twitter. Questions? Email highway61filmfestival@gmail.com. 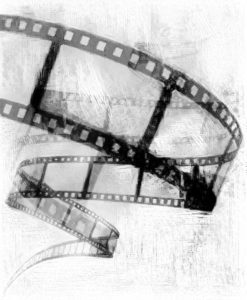 The Highway 61 Film Festival is sponsored by the nonprofit Pine Center for the Arts: 320-629-4924. Thank you for the opportunity to share my thoughts as the 2016 Highway 61 Film Festival gets underway. This year we celebrate the sixth anniversary of the film festival and remind ourselves that it is because of the vibrant arts culture in Pine City that we continue to enjoy artistic treasures that are in grand abundance right here at home. We are a discerning people and we have never had reason to complain about the variety, quality and sheer enjoyment of what has been offered to us over the years by our local arts organizations, the Heritage Players community theatre, Pine City Arts Council and Pine Center for the Arts. Best of all, local talents—your neighbors, your friends, and fellow Pine Citians—produced some of what you are about to experience at this festival. A truly worldly festival, the Highway 61 Film Festival sees entries from all over the planet. If you are new to the Festival or this is your first time visiting Pine City, welcome! I invite you to check out some of the wonderful assets this community has to offer, including 30 places to eat (the third highest-concentration of any Minnesota city), a variety of places to shop, historic sites, arts amenities and more. A special thanks to the Old Highway 61 Coalition tri-county (Chisago, Pine and Carlton) effort to restore interest in Old Highway 61, part of America’s North-South Byway. Renewed interest in the Highway is part of what it will take to revitalize the small towns along its route. Enjoy a packed four-day program with these artists’ documentaries, shorts, special genres and features. Congratulations to the Festival team and their volunteers for coming up with a varied and exciting program and look forward to enjoying what the Festival offers. The business community and individual patrons have long been the lifeblood of the arts in Pine City and without their support, the full range and scale of the festival could not be achieved. We are pleased that our local business community and individual patrons continue to strongly support the arts and the region’s first film festival. We thank them deeply and they are listed in this program. They join us, we know, in thanking the Festival’s most important ingredient of all: You, the viewer and reader of this program. Taking Hold of the Future! Pine Technical and Community College (PTCC) has a long history of providing quality education, and establishing great partnerships that have contributed in making us who we are today. We have taken hold of the future by completing an extensive planning process that provides the map for us to best serve East Central Minnesota. This map identifies how we can best help the residents of this region take hold of their future. Many of these programming opportunities are already in place, with more coming soon. We are offering a wider variety of programs, with more on-line offerings than ever before. PTCC expanded its mission to become a comprehensive technical and community college by offering new options for students and new ways to meet the needs of the region. This mission change specifically recognizes an increased focus in the arts for our community and students. As the President, I am excited to welcome you again to the college and look forward to continuing our partnership that help provide this rich cultural experience to our great region. I would like to thank you all for coming to Pine Technical and Community College and strongly encourage you to take hold of your future by rediscovering how we can help your journey. Award winners, official selections, finalists and semi-finalists! With all the wonderful films submitted this year to the Highway 61 Film Festival, narrowing down the choices into the award winners and official selections was a very challenging job for our all-volunteer crew of prescreeners, judges and festival programmers. It also didn’t seem right to celebrate only the films that would be featured during the limited time we have to schedule films at our 2016 festival, because there would be many, many more films we would include if we did have time available. Excellent creative work deserves to be recognized. With that in mind, we are honoring not only the award winners and official selections, but finalists and semi-finalists in each category – films which made a strong impression on our judges, but which we were unable to screen at the festival. To see the festival schedule for 2016, click here. Thank you for your contributions, and congratulations to all! We are proud to present the schedule of films for the 2016 Highway 61 Film Festival! Thank you to all who submitted! More info to come. A girl is chased through worlds by the creature that festers inside of us all. An animated depiction of the poem, “The Tyger” by William Blake. Moving from one apartment to another has consequences when things go bump in the night. When would-be writer Jonas accidentally invokes the spirit of his great-grandmother, he opens a door to another realm. Every day, a girl leaves for a a different place, though she is only living in her mind. When two worlds collide in a cloister, it might take something drastic to set things right. After new laws force a theater owner to show imaginary films, a mysterious visitor offers him an intriguing solution. A young woman reflects on the things that make her who she is, the contradictions that make her whole. A documentary exploring the quiet, empty world of the last subway train of the night, and the stories of the people riding it. An exploration through language and images of human frailty and the wonder of existence. A boy begins dreaming of a girl, dreams that become more and more his reality. A teenage boy comes to a difficult place in his life, and realizes he needs to face the truth regarding his lack of emotion. When it comes to love, timing is everything. The truth about the end of things lies in all the objects we see and experience every day. When Valentin meets Ludivine, he is convinced she’s the girl he has been dreaming of for weeks – but Ludivine is not so sure. A Qashqai family lives in a village in Fars province of Iran. Mitra is expecting her nomad fiancé to come back from the winter pasture. Knowing about her sister’s imminent departure, Mitra’s blind brother Ardeshir is restless and sleepless. A city landscape is deconstructed and reconstructed through the artist’s visual imagination. After the family matriarch dies, she asks to have her ashes spread in the place of her youth. Her wish is the beginning of an unusual family road trip. An exploration of homelessness in South Dakota. During WWII, an evacuee child tries to remain in contact with his mother through their only means of connection: words. An astronaut drifting through space tries to find his way back home. The rich agricultural heritage of East Central Minnesota is reborn each year at the Almelund Threshing Show, and that history comes to life in a whole new way in this warm and nostalgic documentary film. Learn about the hardships and joys of pioneer life and experience the passion of those who keep its traditions alive. A young couple enjoy a romantic camping trip in Devon, but their getaway becomes a nightmare when Ellie starts to experience visions of death. The year is 1959. Guy is an experienced British fighter pilot in Britain’s first manned mission to space. Now he is alone in space with a malfunctioning capsule. He has limited contact with the UK, and some unusual communication with the US and Soviet Russia. Can he get home? Who will help him? Will he make the right choice? John and Oliver start a lemonade stand to raise money for an inflatable pool, but their competition’s lemonade is just too delicious. Jerry’s bath time is interrupted when a mysterious stranger calls his home. It gets worse before it gets wetter. Tonight Hada comes to visit Daniel because her last child tooth has fallen out. What Daniel doesn’t expect is that his worst enemy is the light. A girl walks home at night and has to come face-to-face with the monsters lurking in the darkness. A young boy must by saved from execution by his last hope. Starring James Walters and Edward James Olmos. After a broken marriage, Kim threw her life into the shadow. When her mother’s health fails, dreams and passion are awakened again. Love is like a bus… you wait all your life for one to turn up, then three turn up at once. A young man must decide which girl to pursue when three potential loves-of-his-life walk into his world on the same night. Sometimes the people in our lives we find hardest to love end up being the most important people we should cherish. An artist’s creation comes to life and explores its new surroundings. With two musicians performing on stage, the lighting guy goes berserk. Blue Peep and Pink Peep make their way through the big world while trying to find a marshmallow mate online. A chance encounter while waiting for the train blossoms into a sweet love story. A hungry old man begs for a pear, but the peddler refuses him. A little boy spends his last coin to buy a pear for the old man. Finally, a magical form of justice emerges. While the grownup ducks argue, the young ducks must join together to defeat the villains who seek to destroy the sun. Unpaid debts come back to haunt a man and his visitor. An industrial worker in St. Paul, Minnesota, seeks purpose while escaping his past. A 20-something leaves her girlfriend at home to catch up with an old college friend, and during their night on the town sparks fly. A short, poetic documentary about what four young women believe makes them beautiful. An animated treatise on the must fundamental of rights, the right freely to associate. The story behind the game, “Rock, Paper, Scissors,” is finally set straight. After a young boy finds a magical ring in his backyard, he becomes his favorite superhero: Golden Light. But when the evil General Zorg comes to retrieve the ring, Bobby must use his newfound powers to protect his family. The progressive rock band Gypsy roared out of the Twin Cities, landed in Los Angeles in 1969, scored a hit on the record charts and built a fervent nationwide following. Six years later they called it quits. This is their absolutely true rock ‘n roll story. Bar owner Józsi is in an unpleasant situation. Somebody caused a problem and now he needs a cleanup. Unfortunately, his silent partner Badger sends a hitman to do the “dirty work,” while Józsi is expecting a plumber. Either an absurdist, nonsensical comedy or a musing on confronting one’s own fears of love and rejection—or both. While working to restore an old derelict home, a handyman encounters the unexplainable. An introverted teenage girl searches for her boyfriend when he mysteriously disappears after they share an intimate moment. You’d think it would be a simple task. Some people just can’t do it. That’s where the Help Desk comes in. Dan has lost his job and his girlfriend. Will he lose his life now too? 30-year-old Jenny likes playing with her dolls and hanging out with her parents. But what will happen when her dolls come to life? “After Effect” and his evil minions must be stopped by the “Z.E.T.A. Force” before hidden technological weapons sway the battle between good and evil forever. The League of Interplanetary Process Servers’ finest agent attempts to deliver 30 subpoenas throughout the universe in 10 minutes. The host of a scandal-mongering television program has a personal life that rivals those of the guests on his show. A relationship is like a shark. It has to move forward or it dies. We’re excited to add something brand new this year – a completely new venue for screening independent films, in a place dedicated to the past. The North West Company Fur Post will be hosting a show of short and feature films for children at it’s Visitor Center just outside Pine City. Stop by at 10 a.m. on Saturday, Oct. 8 to check out this set of family-friendly films and enjoy the ambience of the beautiful North West Company Fur Post!